BOGOTA – Colombia, the world’s leading producer of mild washed Arabica coffee, recorded an upward trend of coffee production during the past twelve months. The country’s optimal performance was the result of the coffee crop renovation initiatives that the Colombian Coffee Growers Federation (FNC) has promoted over the past five years. Renovation efforts have not only allowed Colombia to recover its historic production levels, but have also helped consolidate a young, technologically advanced and plague-resistant productive structure. The success of the crop renovation programs is remarkable; 3,250 million coffee trees were renovated between 2009 and 2014. During the past twelve months, coffee production increased 10% by reaching a total of 12.4 million 60 kilo bags. Additionally, year to date production (January-February) totaled 2.1 million 60 kilo bags, meaning a 12% increase compared to the 1.9 million bags produced between January and February 2014. Colombian coffee production in February 2015 reached 1.1 million bags, meaning an 18% increase compared to February 2014’s production. Additionally, average productivity reached a total of 15.4 bags per hectare. 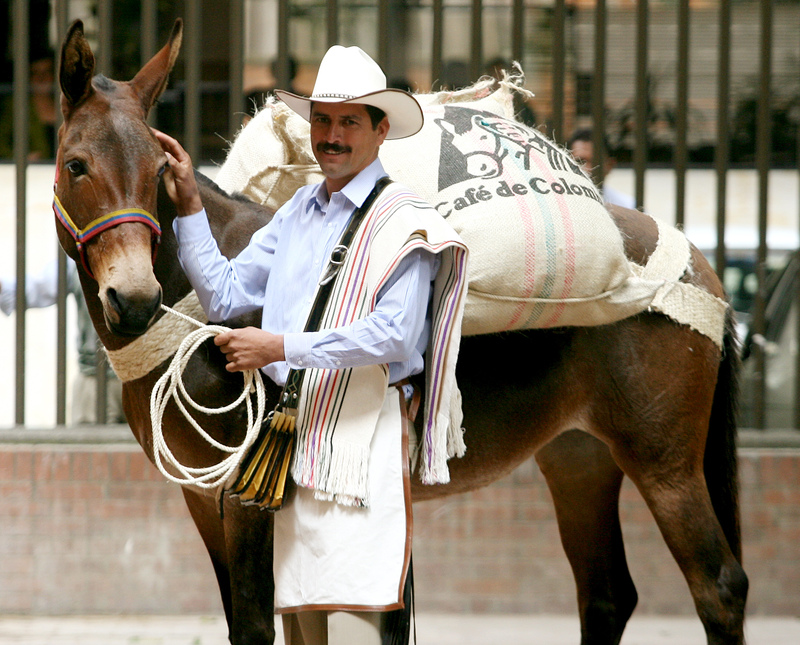 Parallel to the rise in coffee production, Colombian coffee exports increased significantly. During the past twelve months (March 2014-February 2015), coffee exports reached a total of 12.1 million 60 kilo bags. This meant an 11% increase compared to the same period of the previous year. Similarly, year to date exports increased 9%, reaching a total of 2.1 million bags. Coffee exports in February 2015 reached 1.1 million bags. This led to an 8% increase compared to the 989,000 bags exported during February 2014.